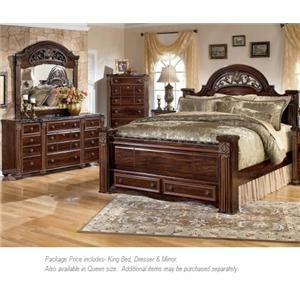 Create the feeling of a cottage retreat with this twin panel bed. 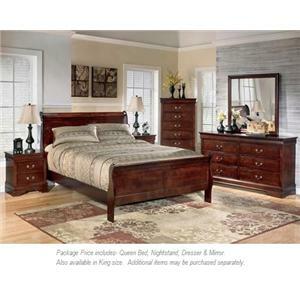 X-motifs on the headboard and footboard and half round pilasters supporting top molding offer vintage casual design details to the bed's look. The bright white finish of this bed makes a wonderful choice in a girl's bedroom or a guest bedroom. A crisp bright white finish highlights the cottage styling of this six-drawer dresser and bedroom mirror set. 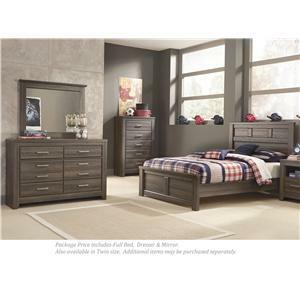 Framed drawer fronts, half round pilasters, and bun feet create a vintage casual design style. It will be a lovely addition to a girl's bedroom, guest bedroom, or even a master bedroom. 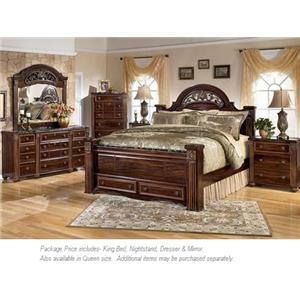 The Kaslyn Twin Bed, Dresser, Mirror and Nightstand by Signature Design by Ashley at Miskelly Furniture in the Jackson, Pearl, Madison, Ridgeland, Flowood Mississippi area. Product availability may vary. Contact us for the most current availability on this product. 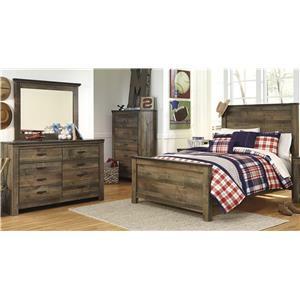 The Kaslyn collection is a great option if you are looking for Cottage furniture in the Jackson, Pearl, Madison, Ridgeland, Flowood Mississippi area.